How can I Integrate my eBay Store? 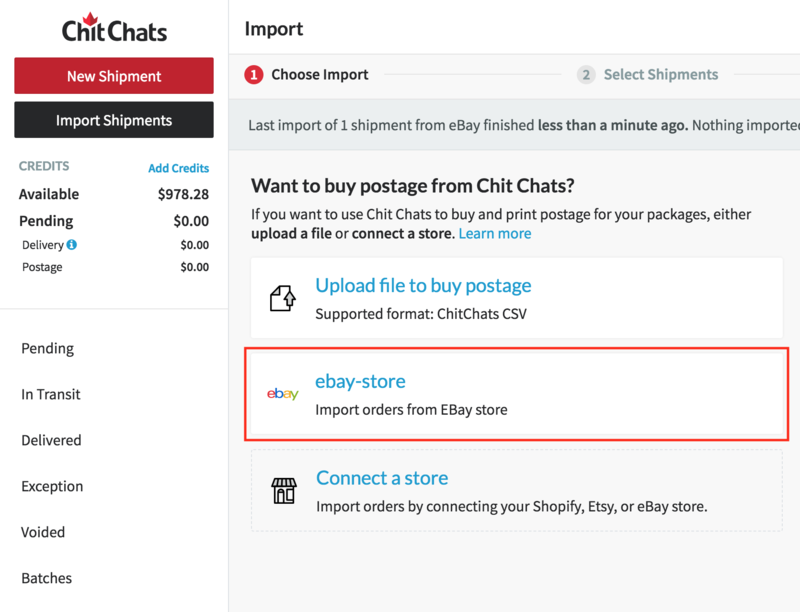 Integrate your eBay store and import orders into Chit Chats in 5 easy steps. Step 2: Make sure you are logged into your eBay account. 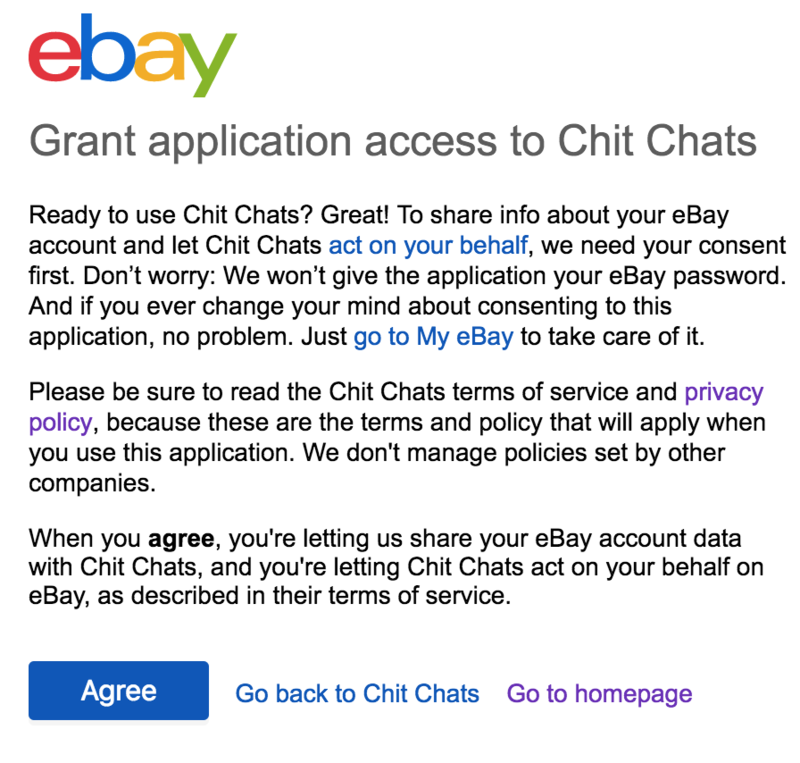 Grant application access to Chit Chats. 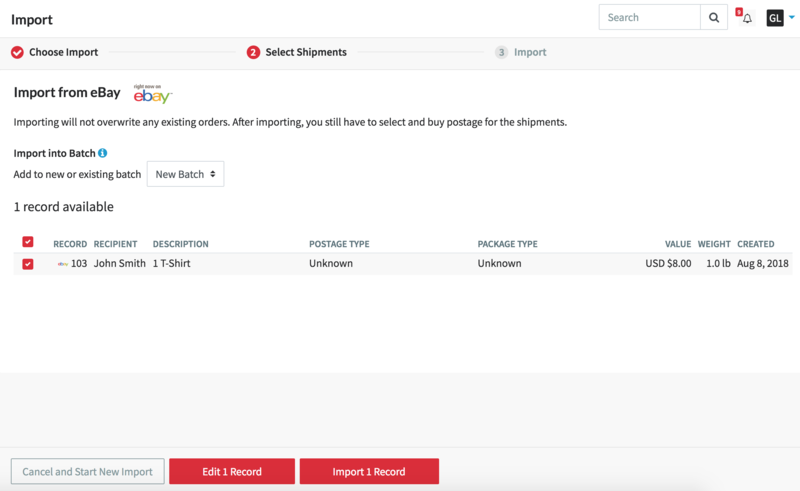 Step 5: Go to the newly created batch or Pending tab to view your imported shipments. From here, you can select, buy and print your postage. Congratulations! You have just integrated your eBay store with Chit Chats and imported your first round of shipments. The eBay order is fulfilled with the tracking code when postage is purchased. You have a choice of sending back the Chit Chats or Carrier tracking code. eBay may be more familiar with the carrier tracking code and provide more information. You can learn more about changing your store fulfillment settings here. Related: How to import from an eBay CSV file?